I woke up one morning last week to find my Droid X acting particularly slower than normal. I did what we gadget lovers know unfortunately all too much: reset the device. However, this procedure was not just a power cycle but rather a hard reset, and it involved a completely fresh start for the phone. The good news is that the device is back to its original blazing speed. Today, I thought I would share a few protocols in case you wake up to find your smartphone acting up as well. For those looking for a very quick and easy way to get an instant performance boost, users need to look no further than the power button on their phone. Also known as a "soft reset," powering down and rebooting will often solve some basic lag issues for phones (and fix many problems for nearly every electronic device known to man). When new updates are available for smartphones, a restart is often the last step of the installation, and users are often impressed by the zippier feel of their phones post-update. I often see claims on forums for "snappier" performance on freshly updated phones. Although this can be the case for larger system updates, most often, the soft reset is the reason for the improved speed. Similar to picking up clothes, old newspapers, or dirty dishes, users can perform some basic cleaning on their smartphones. If there are apps that you hardly use, consider freeing up storage space by deleting them or on many Android phones, selected apps can be moved to the memory card. With Android, you can stop processes through the settings or opt for an application such as Advanced Task Killer. However, do note that usage of such an app is often the subject of a debate as to whether task killers help or hurt (I personally don't use one, though I don't advocate either way). Through iOS 4 for iPhone 3GS and above, you can choose to close applications that are running through the multitasking feature, and it may be worth mentioning that task killers are available for jailbroken iPhones. In the end, through these tips, you can usually resolve some minor lag issues that result from heavy usage in the short term. When we had some minor water damage in our basement, a restoration company came to tear out drywall, carpet, and baseboards. We then hired contractors to replace everything that was taken out to bring our basement back to its original condition. Also known as a "hard reset", you can safely bring your smartphone back to when it was first turned on (often referred to as factory defaults). 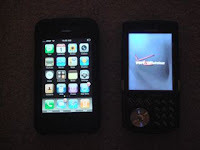 For a Droid X, there are two ways to perform a hard reset. On the iPhone, you have a few additional steps to attempt before resorting to a hard reset, including resetting the phone settings and reinstalling iTunes. Check here for more information about iPhone troubleshooting directly from Apple. Of course, returning to factory settings means that you will lose all data and applications, so it comes at a higher price. However, with more and more data being stored in the cloud, this may not be as big of a deal as in the past. 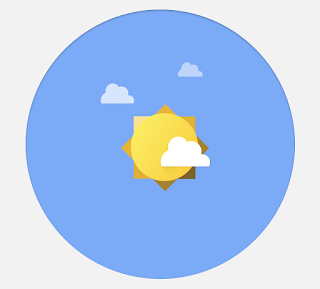 For example, I have all of my contacts stored in Gmail, so I did not lose anything with the hard reset. The same applies to email, calendar events, and my to do lists. Text messages were one of the few causalities of my hard reset, though there is probably a data backup service available that would have helped with this. For applications, I needed to download my apps again, but this gave me an opportunity to do some paring down, as suggested above. Both the Android marketplace and the iPhone App Store remember what apps you have purchased before, so there's no need to worry about paying again for anything you need to reinstall. In the end, routine maintenance of your smartphone can go a long way towards extending the longevity of the device, not to mention the satisfaction of the end user. For more thoughts on Technology, please consider subscribing to the RSS feed or through email. For just Android specific posts, subscribe here.